Summer is the best time of year to enjoy this salad because everything called for in the recipe is in season and readily available. In Philippines, this salad is a staple in our cuisine to offer some color and freshness. Shrimp paste, or alamang, is a Filipino condiment that is very salted and has a pungent smell. It adds a bit of saltiness to round out the flavors and acompany the meal. If you cannot find Filipino shrimp paste or alamang, you can substitute it with the more readily available fish sauce. 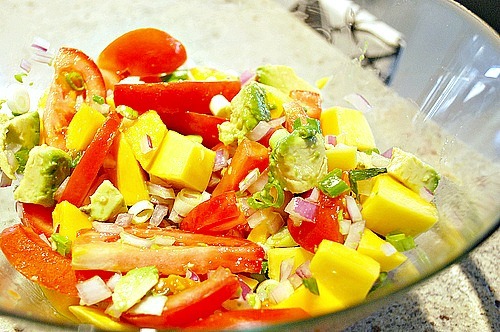 Combine the mangoes, tomatoes, green onion, red onion, and avocados in a large bowl. Add the shrimp paste or fish sauce and toss. Oooh! This is a new one for me. And I love mango! 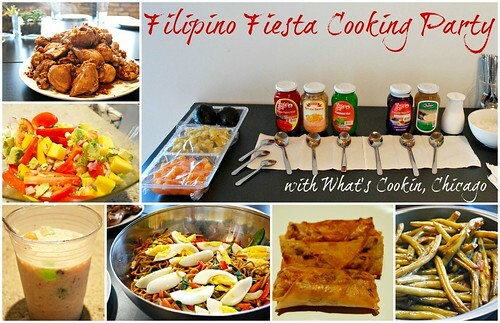 I am not too familiar with Filipino food, but I have taste adobo and love it. This salad looks really fresh and nice.